The privacy, confidence, and trust of individuals who visit Gormish Chiropractic & Rehabilitation web site are important to us. No personal information is collected at this site unless it is provided voluntarily by an individual while participating in an activity that asks for the information. The following paragraphs disclose the information gathering and usage practices for the web site. Gormish Chiropractic & Rehabilitation only collects the personal information that is necessary to provide the information or services requested by an individual. "Personal Information" refers to any information relating to an identified or identifiable individual who is the subject of the information. This is the same information that an individual might provide when visiting our office and it includes such items as an individual's name, address, or phone number. We also collect statistical information that helps us understand how people are using the web site so we can continually improve our services. The information collected is not associated with any specific individual and no attempt is made to profile individuals who browse the web site. Gormish Chiropractic & Rehabilitation uses the collected information to respond appropriately to requests. This may be to respond directly to you or to improve the web site. E-mail or other information requests sent to Gormish Chiropractic & Rehabilitation may be retained for future use by Gormish Chiropractic & Rehabilitation. Analytics Tools: Gormish Chiropractic & Rehabilitation use analytics tools and other third party technologies, such as Google Analytics, to collect non-personal information in the form of various usage and user metrics when you use our website. These tools and technologies collect and analyze certain types of information, including cookies, IP addresses, device and software identifiers, referring and exit URLs, onsite behavior and usage information, feature use metrics and statistics, usage and purchase history, MAC Address, mobile unique device ID, and other similar information. Gormish Chiropractic & Rehabilitation is committed to the security of the information that is either available from or collected by this web site. 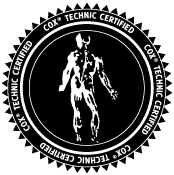 Gormish Chiropractic & Rehabilitation has taken multiple steps to safeguard the integrity of its telecommunications and computing infrastructure, including but not limited to, authentication, monitoring, auditing, and encryption. This web site may have links to other web sites. Gormish Chiropractic & Rehabilitation is not responsible for the content or privacy practices of these sites and suggests you review their privacy statements. Gormish Chiropractic & Rehabilitation will not knowingly collect information about persons under the age of 13 without prior parental consent. If you are under the age of 13 you must ask a parent or guardian for help. Gormish Chiropractic & Rehabilitation site is provided on an "AS IS," "as available" basis. Neither Gormish Chiropractic & Rehabilitation nor its affiliates, subsidiaries, or designees nor each of their respective officers, directors, employees, agents, third-party content providers, designers, contractors, distributors, merchants, sponsors, licensors or the like (collectively, "associates") warrant that use of Gormish Chiropractic & Rehabilitation site will be uninterrupted or error-free. Neither Gormish Chiropractic & Rehabilitation nor its associates warrant the accuracy, integrity or completeness of the content provided on Gormish Chiropractic & Rehabilitation site or the products or services offered for sale on Gormish Chiropractic & Rehabilitation site. Further, Gormish Chiropractic & Rehabilitation makes no representation that content provided on Gormish Chiropractic & Rehabilitation site is applicable or appropriate for use in locations outside of the United States. Gormish Chiropractic & Rehabilitation specifically disclaims warranties of any kind, either expressed or implied, including but not limited to warranties of title or implied warranties of merchantability or fitness for a particular purpose. No oral advice or written information given by Gormish Chiropractic & Rehabilitation, nor its associates, shall create a warranty. You expressly agree that use of Gormish Chiropractic & Rehabilitation site is at your sole risk. Under no circumstances shall Gormish Chiropractic & Rehabilitation or its associates be liable for any direct, indirect, incidental, special or consequential damages that result from the use of or inability to use Gormish Chiropractic & Rehabilitation site, including but not limited to reliance by a user on any information obtained at Gormish Chiropractic & Rehabilitation site, or that result from mistakes, omissions, interruptions, deletion of files or email, errors, defects, viruses, delays in operation or transmission, or any failure of performance, whether or not resulting from acts of God, communications failure, theft, destruction or unauthorized access to Gormish Chiropractic & Rehabilitation records, programs or services. The foregoing Limitation of Liability shall apply whether in an action of contract, negligence or other tortuous action, even if an authorized representative of Gormish Chiropractic & Rehabilitation has been advised of or should have knowledge of the possibility of such damages. User hereby acknowledges that this paragraph shall apply to all content, merchandise and services available through Gormish Chiropractic & Rehabilitation site. Because some states do not allow the exclusion or Limitation of Liability for consequential or incidental damages, in such states liability is limited to the fullest extent permitted by law. Errors will be corrected where discovered, and Gormish Chiropractic & Rehabilitation reserves the right to revoke any stated offer and to correct any errors, inaccuracies or omissions. While Gormish Chiropractic & Rehabilitation takes steps to ensure the accuracy and completeness of product and third-party services provided, please refer to the originator of information for details, for example the manufacturer and/or web site for complete details. • Opt-Out. The right to object to certain processing of personal information (unless we have overriding compelling grounds to continue processing), including the right to opt-out of receiving direct marketing. Gormish Chiropractic & Rehabilitation will, however, continue to use personal Information for the limited purpose of communicating important notices relating to purchases, changes to our policies, and other reasons permitted by law. • Data Protection Contact. The right to contact the relevant data protection regulator regarding Gormish Chiropractic & Rehabilitation’s handling of personal information. • To exercise any of the above listed rights, email us at info@coxtechnic.com, contact Gormish Chiropractic & Rehabilitation. Gormish Chiropractic & Rehabilitation will process requests in accordance with applicable law and within a reasonable period of time.